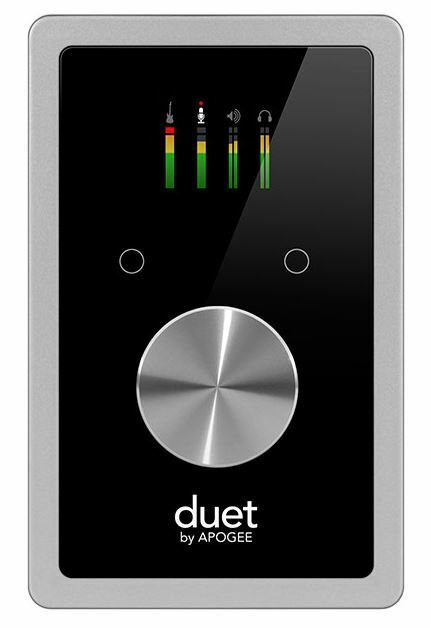 Duet is the most popular portable audio interface for Mac and iOS devices. 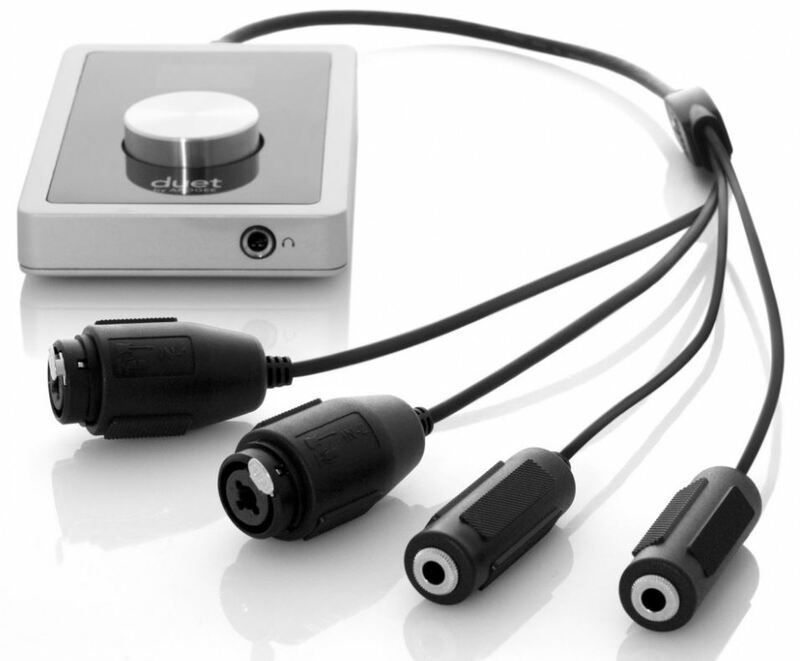 It delivers a pristine and professional audio quality in a small, rugged and elegant product. The product features the renowned Apogee AD/DA conversion, as well as world-class preamps. When it comes to compact audio interfaces for MacOS and iOS machines, Apogee is definitely a very interesting choice. 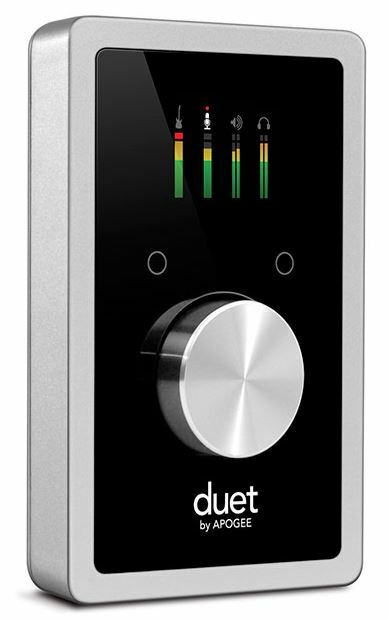 Duet’s panel is simple and clean – it has a full-color OLED display, which shows input and output parameters, such as source, levels, clipping and more. There’s a big controller knob, with multi-functionality. It can set input/output levels, and control several parameters as well. The product also comes with two configurable touchpads, so the user can assign the touchpads to several output functions. The rear panel comes with a Midi input, which is actually a USB port. 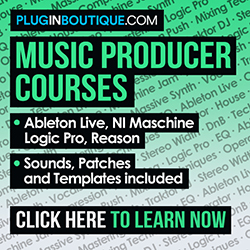 You can connect any midi device to that port. The I/O jack will connect the breakout cable, which is included, and has 2 combinations of mic and instrument connectors (two combo XLR/TRS and two TRS connections). It’s possible to set different combinations of inputs and outputs using the breakout cable. The rear panel also has a DC power jack (power supply included) and a USB port to connect the unit to a MacOS or iOS device. The front panel has a stereo headphone output, with an independent volume control. The product comes with Apogee’s Maestro software for advanced control.